TOPMAN CO.,LTD. - Ask us for your own blades. we do not show our products which we supply under OEM basis. But we are specialized in manufacturing various types of machine blades. because performance of machines can be decided by blade quality. Various cutting blades/knives are used in many different industries, metal, wood, food, agriculture, to name a few. We wish to assist you to make the best and original blades and tools for you. 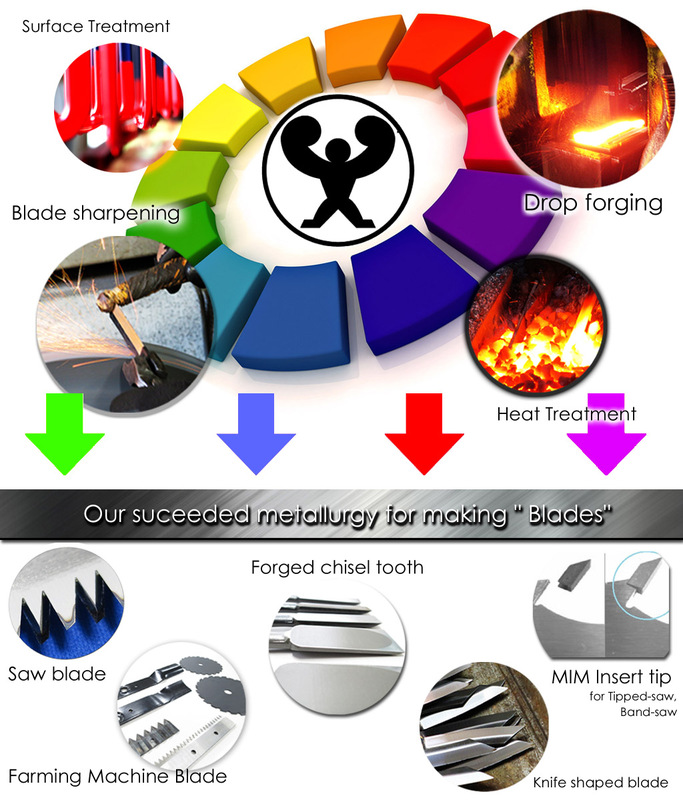 Our innovative ideas for the blades with the highest level of quality and originality are created through substantial experience in historically well-known place of tool/blade industry in Japan - Miki city, intimate relations with Japanese leading steel mills and surface improvement treaters. Let's make better and the best blades to optimize your machines and enhance the brand value. © Topman Co.,Ltd. All rights reserved.